Online fashion faces new challenges in 2018. Now that companies have found ways to recommend sizes, colours or shapes online, brands have to go one step further: they need to engage fashion buyers, to provide them with tailored and personalised advice. iAdvize outlines 4 key components of a successful online strategy for fashion brands and explains why becoming conversational is the key to boost your online sales and build a successful customer retention strategy. Stand out from the market’s fierce competition by being available at all times whenever your customers need you. Consumers are highly demanding when it comes to buying items online: they expect it all, they don’t want to experience friction during their online customer journey. They want convenience, quality, exclusivity, low prices and effective support. 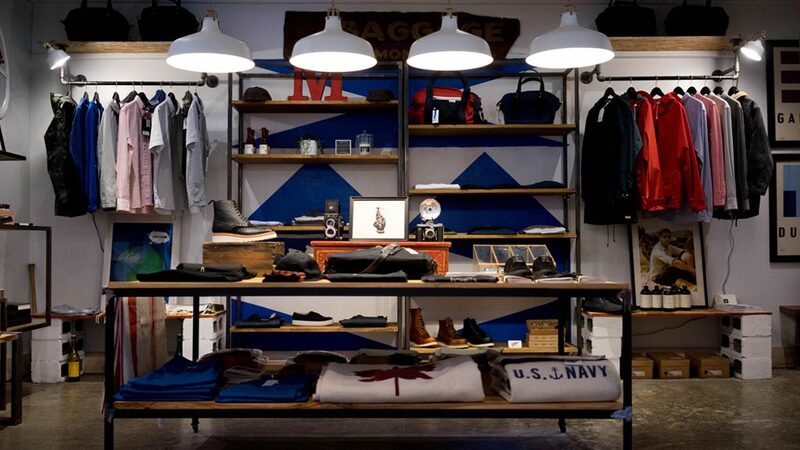 In other words, they expect qualitative support while seamlessly moving throughout the shopping journey. According to Google, 63% of people who have purchased on mobile have purchased a fashion item. Mobile devices help fashion brands be in their customers’ pockets at all times, with the ability to capture imaginations whilst consumers are on the move. According to Google, there has been an 80% growth in the use of the word “best” across mobile searches in the past two years. Mobile devices enable consumers to be hyper connected at all times and be flexible in their purchasing journey, therefore online consumers expect brands to be ready to support them on all devices, across all channels and at all times. Online shoppers not only use their mobile devices for product research, they also increasingly use them to actually buy online. According to McKinsey, there will be 8-20 times more mobile payment transaction value this year compared to 2015. – Favour native apps (apps written specifically for iOS or Android for example) to convert your visitors and retain them: they are very intuitive for recurring purchases and they are also a great customer retention asset for mobile loyalty programs. Such as ASOS which recently launched an app incorporating Style Match and upgrading the traditional filtering to help their customers find exactly what they’re looking for. – Optimise your website for mobile browsers, who prefer not to download an app when carrying out product research or using your site for a quick reference check. 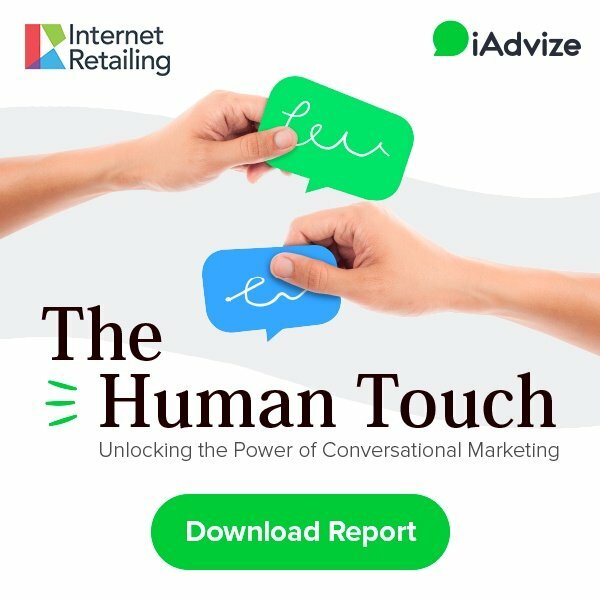 What place do mobile devices hold for fashion brands using the iAdvize conversational marketing platform? 35% of their traffic comes from mobile and so does 21% of the conversations they have with their prospects and customers. Thus, it is important for your brand to build and develop a mobile strategy. When looking to grow a business within the fashion industry brands are often faced with a lot of competition, so what is the key to standing out from the crowd? Targeting the online shoppers who most need your help, engaging them and personalising the interactions you have with them! You need to understand and predict consumers’ behaviour patterns to focus on the questions with most added value for your business. McKinsey & Company found that targeted communications, which are relevant and useful, could create lasting customer loyalty and drive revenue growth of 10 to 30 percent. And thanks to a behavioural targeting engine you can find and target the online shoppers who most need assistance: for example, you can set targeting rules detecting consumers hesitating between different items while browsing on product pages or shoppers struggling to finalise their purchases in the checkout funnel. You also need to offer personalised answers and targeted advice. You need to connect your prospects and customers with the best possible respondent. If we forget the technology for a moment lets look at who is best placed to answer your online visitors. More and more brands are looking to incorporate independent experts into their strategy, for example in our recent webinar House of Fraser discuss how beauty accounts for almost 50% of their online sales and so they are now looking to select beauty experts to advise their customers online in real time. According to the Boston Consulting Group, brands that create personalised experiences by integrating advanced digital technologies and proprietary data for customers are seeing revenue increase by 6 to 10%—two to three times faster than those that don’t. As previously mentioned, customer experience is key for brands in the fashion industry to stand out from the crowd and create an authentic experience. By providing online customer service via messaging, your brand can advise customers and visitors anywhere at any time. 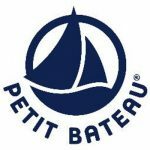 Independent experts, true enthusiasts about your sector and products, are available to respond to visitors’ questions when they are not at work, in their free time, in other words, during evenings and weekends. Tom is head of digital for a popular clothing brand. Over the last three quarters, Tom noticed that there has been a spike in traffic during the hours of 8-10pm on weekdays and also at weekends, despite this increase in traffic the number online sales have not increased. At the beginning of Q4 Tom uses a pool of independent experts, passionate about his brand to chat to online shoppers during evenings and weekends and share their expert knowledge to help shoppers with their buying decision. One month into Q4 Tom is already seeing a 17% increase in conversion rate but not only that, customer satisfaction is 97%. – You build a more human relationship with your customers: they express their needs just like they interact with their friends and family with emojis, images to illustrate their explanation, etc. According to McKinsey & Company, an AI-based approach could reduce forecasting errors by up to 50 percent, while overall inventory reductions of 20 to 50 percent are feasible. This data shows us that chatbots can take care of automated tasks as a way to support human agents. Artificial intelligence has not yet been able to replicate human capabilities but chatbots can pre-qualify prospects and customers, collect their basic information and then transfer them to a human agent when they need a personalised human touch. In other words, chatbots can take on repetitive tasks while humans can focus their attention on questions where they will really make a difference and add value. Many consumers will ask their friends for advice or be guided by an ever increasing community of social media influencers. A Musefind study shows that 9 out of 10 consumers trust an influencer more than traditional advertisements or even celebrity endorsements. And according to Hubspot, 71% of people are more likely to make a purchase online if the product or service comes recommended by others. 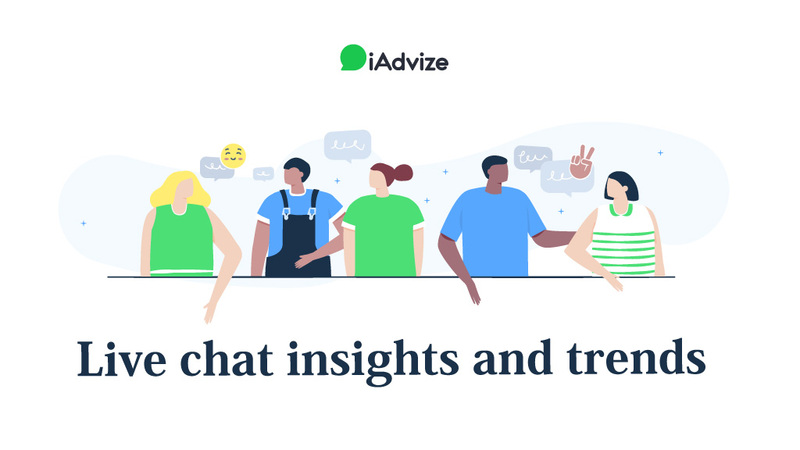 – Pre-sales: entrusting your pre-sales customer service to communities of independent experts such as the one offered by iAdvize allows you to provide your prospects and customers with authentic tips and best practices. Added value for your business? – Consumers appreciate products that are tailored to their individual needs. Consumers are looking for advice that is relevant to their needs, it is not a one size fits all approach. – Your brand is available 24/7, even outside business hours. 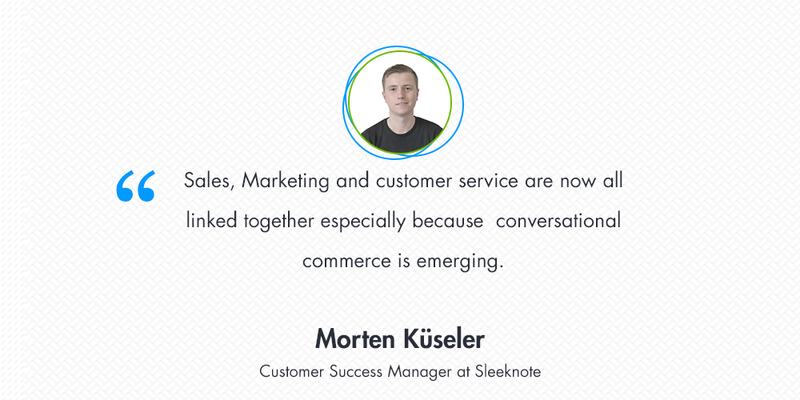 Experts are independent and can advise online shoppers instantly via real time messaging. They are available in the evenings or at weekends to offer peer to peer conversations. – After-sales: independent experts can handle product specific advice whilst your agents can be upskilled in areas such as ‘technical support ’‘sales aftercare’ etc. What’s the result of using both professional agents with savvy experts across real messaging platforms? An even bigger boost to your customer lifetime value: you are building a trusting relationship with your prospects and customers, you show them you value their opinions by entrusting your pre-sales customer service to savvy peers.